The Routledge Guides to Linguistics series, produced as part of the LSA’s publishing partnership with Routledge, is a new series of publications meant to serve as introductions to various topics and questions within the field of Linguistics. A portion of the royalties for all of the books in this series will be contributed to the LSA, and support our many programs and services for the linguistics community. To order your copies, simply click on the Title link below. 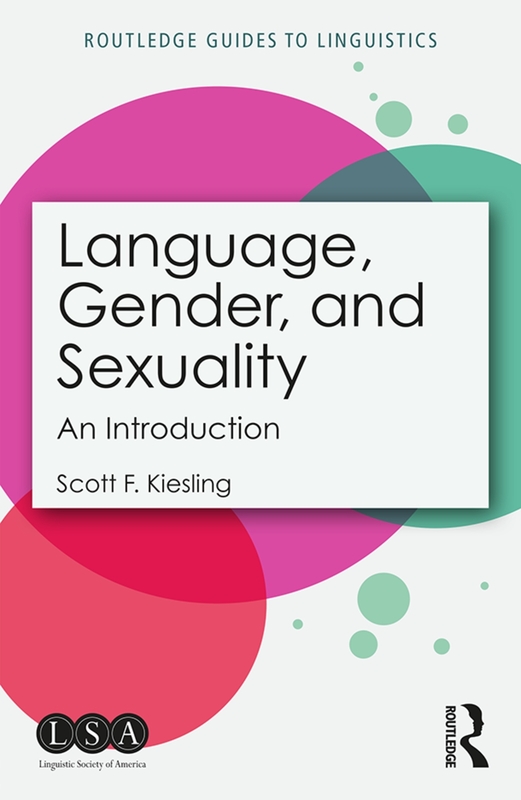 This text provides any student with a broad and straightforward introduction to the main relationships among language, gender, and sexuality. The emphasis is on 'introductory:' This book serves as a panoramic and very accessible portal to the ways that linguistic patterns are sensitive to social categories of gender and sexuality, and how speakers use language to create and display gender and sexuality. The book manages this breadth by dividing the subject into three main questions: First, how does language categorize the gender/sexuality world in both grammar and interaction? Answers to this question address issues from pronouns to address terms to the binary terms for gender such as woman and man. Second, how do speakers display and create gender/sexuality in interaction, and how do they orient to gender and sexuality identities in ways that affect interactions? In this question, issues such as politeness in interaction are discussed, as well as ways that interaction privileges some gender identities over others. Finally, the book asks how and why do people display different ways of speaking based on their gender/sexual identities (such as accent and word choice). This part of the book explores the ways that pronunciation and other linguistic choices relate to speakers' gender and sexual identities, and how those identities change how speech is perceived. Included in considerations of gender and sexuality are discussions of recent work on sexual identity and approaches that examine non-binary/trans/genderqueer identities and embodiment. The book is designed to be very introductory and a guide to more study of language and gender in linguistics. 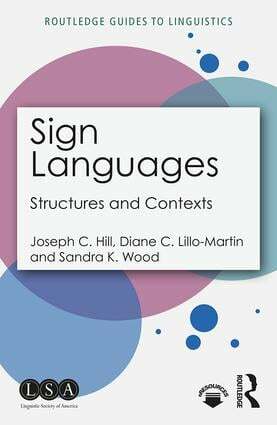 Sign Languages: Structures and Contexts provides a succinct summary of major findings in the linguistic study of natural sign languages. Focusing on American Sign Language (ASL) and with references to sign languages from around the world, this book offers an introduction to the basic grammatical components of phonology, morphology and syntax with examples and illustrations; demonstrates how sign languages are acquired by deaf children with varying degrees of input during early development, including no input where children create a language of their own; discusses the contexts of sign languages, including how different varieties are formed and used, attitudes towards sign languages, and how language planning affects language use; and is accompanied by e-resources which host links to video clips. Offering an engaging and accessible introduction to sign languages, this book is essential reading for students studying this topic for the first time with little or no background in linguistics. Language in Children provides a concise and basic introduction for students studying child language acquisition for the first time. Starting from the first sounds a child produces, this book covers all the stages a child goes through in acquiring a language. 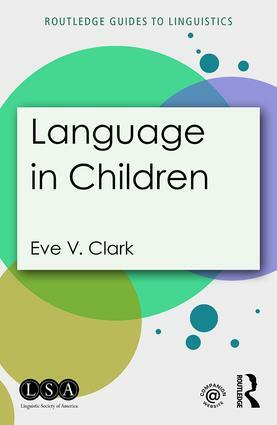 This title illustrates developmental stages from the recognition of sounds and words to the ability to hold a conversation, also covering bilingual upbringing and language disorders; features real-life examples of all the phenomena discussed, from languages such as French, Spanish and Portuguese as well as English; incorporates guidance on sources for further reading and exploration by chapter; and is supported by a companion website that includes exercises with links to real-world data in the CHILDES archive. Written by an experienced author and teacher, Language in Children is essential reading for students studying this topic. 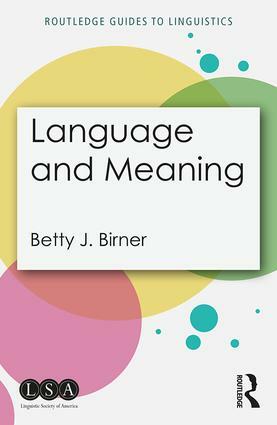 Language and Meaning provides a clear, accessible and unique perspective on the philosophical and linguistic question of what it means to mean. Looking at relationships such as those between literal and non-literal meanings, linguistic form and meaning, and language and thought, this volume tackles the issues involved in what we mean and how we convey it. Divided into five easy-to-read chapters, it features broad coverage of semantic, pragmatic and philosophical approaches, providing the reader with a balanced and comprehensive overview of the topic; frequent examples to demonstrate how meaning is perceived and manipulated in everyday discourse, including the importance of context, scientific studies of human language, and theories of pragmatics; topics of debate and key points of current theories, including references to ongoing controversies in the field; annotated further reading, allowing students to explore topics in more detail. Aimed at undergraduate students with little or no prior knowledge of linguistics, this book is essential reading for those studying this topic for the first time. Is English changing? To what degree is it changing? Is this change good or bad? In answering these questions, Is English Changing? provides a lively and concise introduction to language change, refuting commonly held misconceptions about language evolution as we understand it. 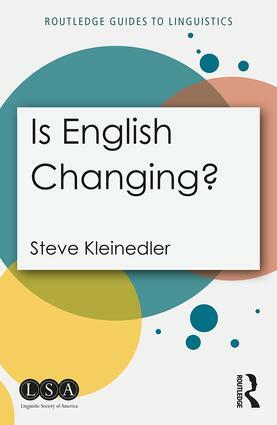 Showing that English, like all living languages, has historically changed and continues to change, this book analyzes developments in the lexicon, the way words are spoken or written, and the way in which speakers and writers use words; offers a basic overview of the major subfields of linguistics, including phonetics, morphology, syntax, semantics, pragmatics, and sociolinguistics, all viewed through the prism of language change; discusses change over time with examples from Old English, Middle English, and Modern English; reinforces important concepts with examples from other languages, including Spanish, Japanese, and Czech; clearly defines key terms and includes advice on rules, usage, and style, as well as ample annotated further reading and activities throughout. Aimed at undergraduate students with little or no prior knowledge of linguistics, this book is essential reading for those studying this topic for the first time. It is estimated that more than half of the world’s population of 7.6 billion is bilingual. But what does it mean to be bilingual? How is bilingualism measured and how does one become bilingual? Will exposure to more than one language hinder a child’s natural cognitive development or will it enhance it? Bilingualism addresses these and other questions while introducing students to core concepts and studies in this fast-growing subfield of linguistics. The volume walks readers through an accessible overview of the practical and theoretical approaches to defining and understanding the linguistic, sociolinguistic, and cognitive outcomes of bilingualism, including bilingual language acquisition, the grammar of codeswitching and language-mixing, the link between language choice and identity, and the value of maintaining and promoting bilingualism at individual and community levels. With activities and discussion questions provided throughout the six chapters, readers are invited to think about their own perspectives on bilingualism and how it manifests in their own lives and communities. 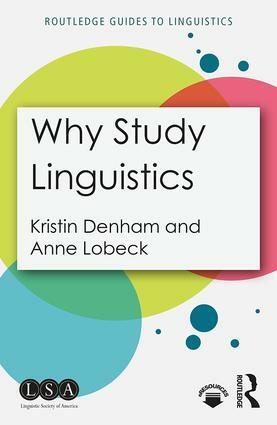 This book is ideal for undergraduate students in linguistics and related fields who are studying the topic for the first time, but does not require prior knowledge of linguistics.